Villanova's Summer Cook has announced her decision to skip her final year of collegiate eligibility to remain at the Olympic Training Center (OTC) in Colorado Springs. 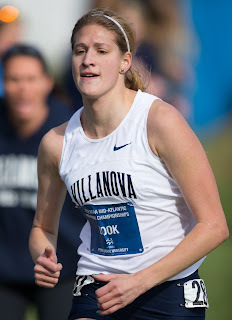 Cook was recruited by USA Triathlon in June to enter the Collegiate Recruiting Program at the OTC because of her status as an excellent two-sport athlete at Villanova. Cook was All-Big East in swimming, track, and cross country, was named All-Mid Atlantic Region in cross country, and qualified for NCAA regionals on the track in the 5000 meters. In the pool, Cook recently finished second in the Big East in the 1000 meter freestyle. As a result, USA Triathlon identified her obvious potential as a triathlete and extended an invitation to train at the OTC. As could be expected from her swimming and running prowess, Cook has been focusing the majority of her time this summer on the cycling side of the sport. 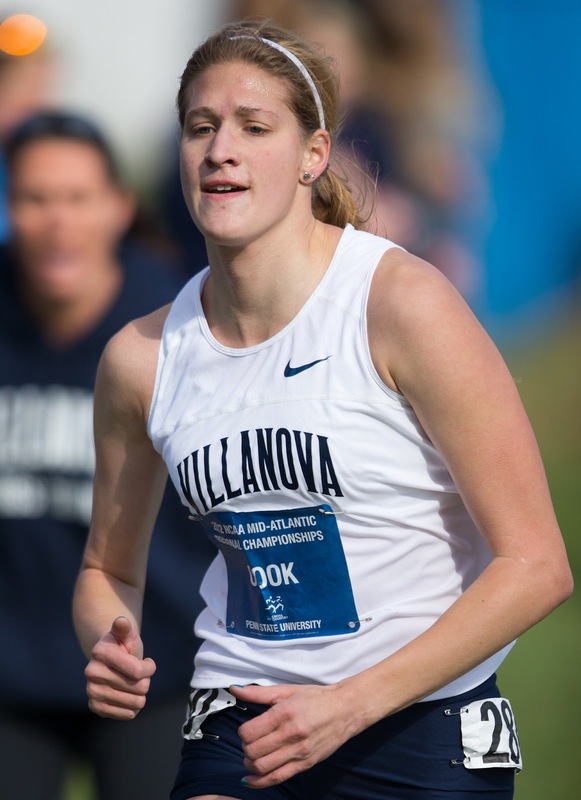 Cook has already graduated from Villanova, with a degree in political science; she was successful in the classroom as well, being named by the USTFCCCA to its All-Academic team in 2013. Not long ago I was making plans that revolved around cross country, grad school, and another year at Villanova. However, plans change. Instead of returning to Villanova for my grad degree and final year of NCAA eligibility, I have decided to take a leap of faith and remain at the Olympic Training Center in Colorado Springs to pursue my craziest dreams. To make a long story short, this was a very last minute decision. After multiple conversations with my parents and the coaching staffs at both Villanova and the OTC, I determined that the best choice would be for me to forgo my final year as a Wildcat. During these conversations, I learned that I might be able to stay at the OTC, which was confirmed a short time later to be an option. This decision was very difficult and emotional for me. I’m going to miss running cross country and I’m going to miss my teammates even more. But, I ultimately think this is the best long term decision for me and I would regret not taking this risk. I will forever be grateful to Gina (and the girls) for giving me a chance. A mere four years ago I was heading off to college solely as a swimmer. I never imagined I would discover that I’m better at running than I ever was at swimming. I certainly didn't think that I would have the opportunity to train at the OTC. I want to give triathlon my full efforts as I've already done in my other two disciplines. No matter when I begin this, it would have been a risk. When I was struggling to make my choice, I realized that the biggest thing holding me back was fear. That fear will be present next year or at any given point down the road. I choose to face that fear now. Currently my life is filled with changing plans and training. I do have my Master’s Degree partially completed and I plan to finish it in the near future, although specifics are undefined as of yet. I plan to race a few triathlons before the end of the season, and I have officially registered for my first tri! I will be participating in the Athleta Iron Girl Triathlon in Aurora, Colorado. The race is a 750m swim, 12 mile bike, and 3 mile run. The goal of the race is to establish a benchmark to see where I am, especially on the bike, and also to feel out what racing a triathlon is like. I spent much of my first six weeks here on bike skills and only recently started aerobic rides. I’m also a complete transition newbie so this experience will be hugely valuable! Everyone needs a starting point and this will be mine. Here’s to taking a gamble – even when you aren't a gambler. Cross your fingers for me!